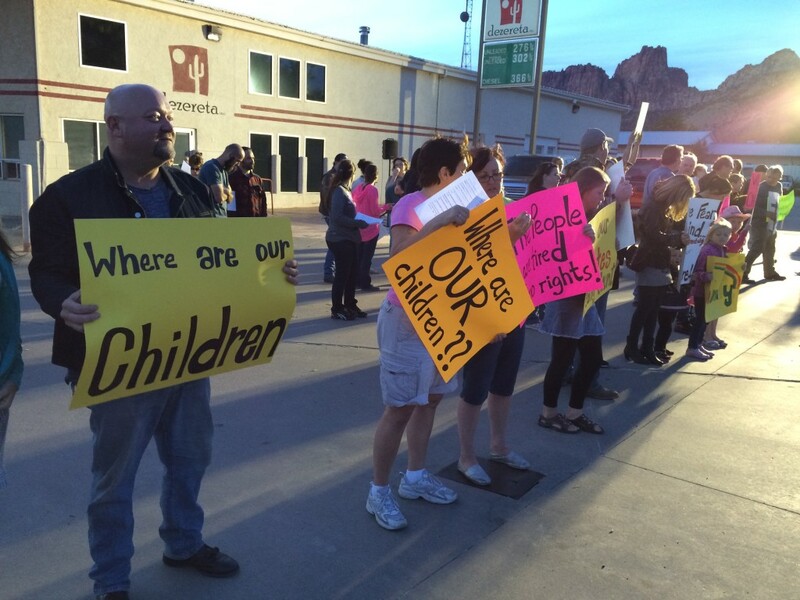 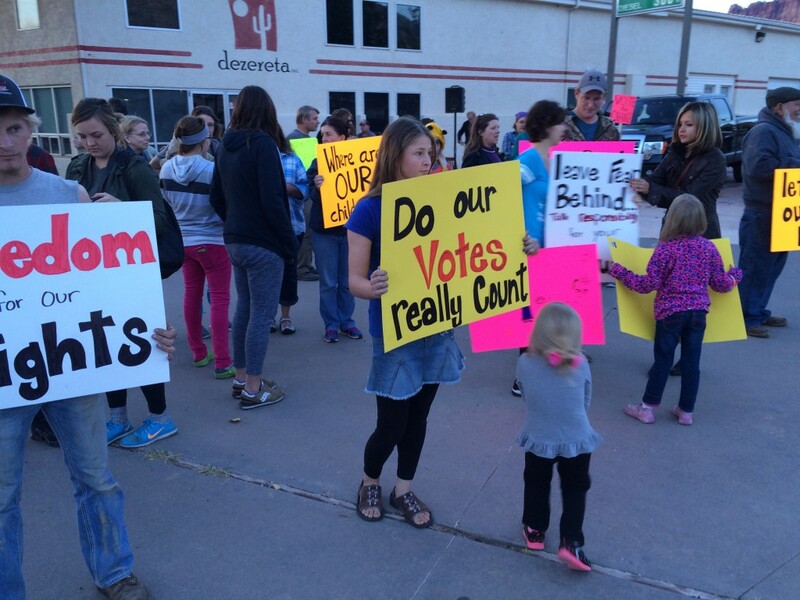 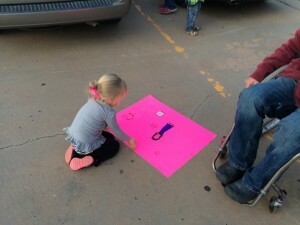 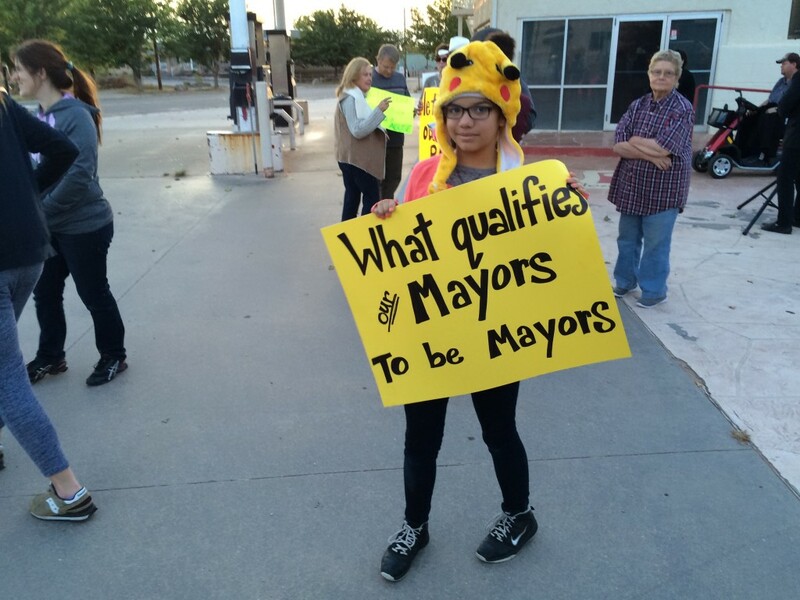 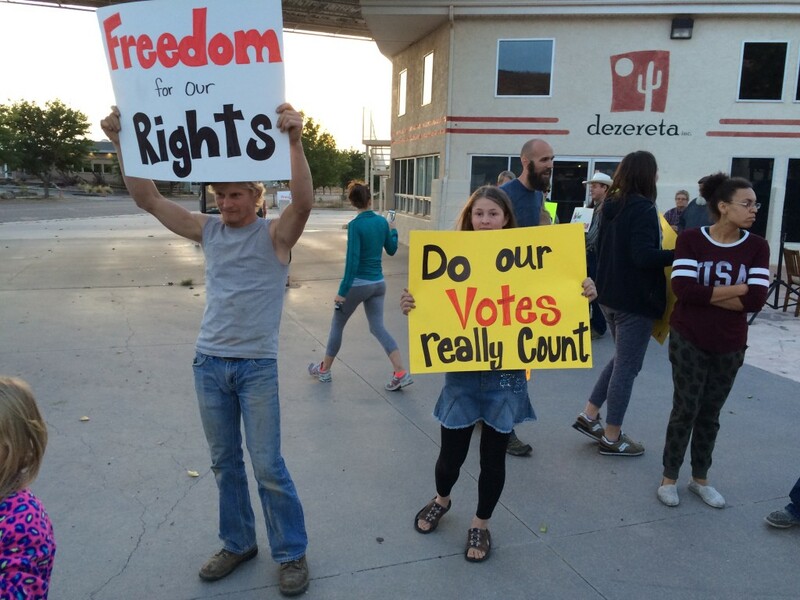 COLORADO CITY, Ariz. – A crowd of between 60 and 70 people gathered in Colorado City, Arizona, Saturday night in a peaceful rally aimed at sparking change in the border towns of Colorado City and neighboring Hildale, Utah. 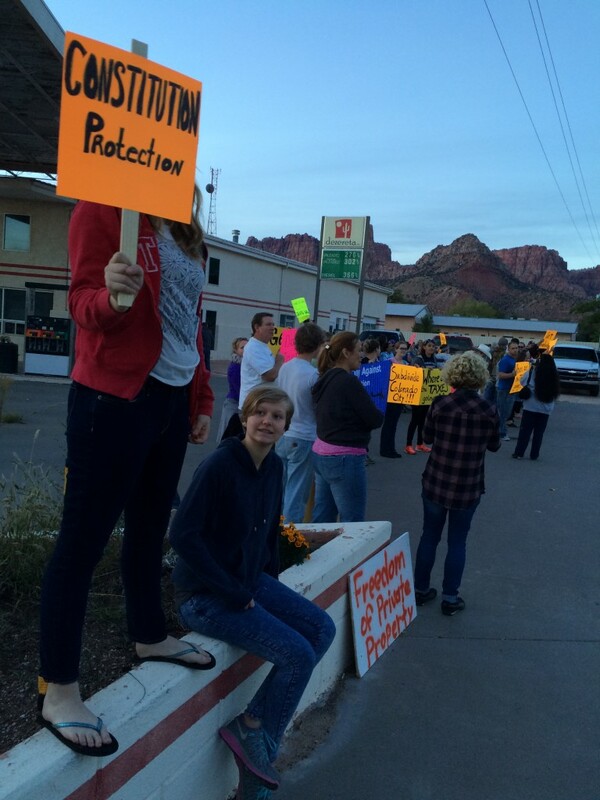 The Fundamentalist Church of Jesus Christ of Latter Day Saints, under the direction of imprisoned leader Warren Jeffs, is said to rule the town – from the city government to the utility services and local law enforcement – and discriminate against those who do not belong to the FLDS church. 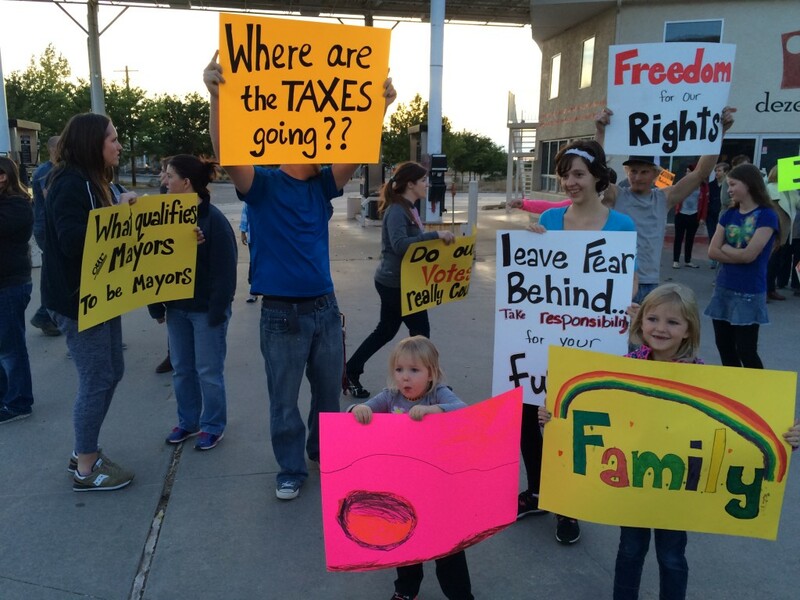 Lining up along Central Street with their signs, those gathered chanted messages like, “Free our town” and “Church and state, separate,” while passing vehicles honked their horns in support and drivers cheered and yelled to the crowd. 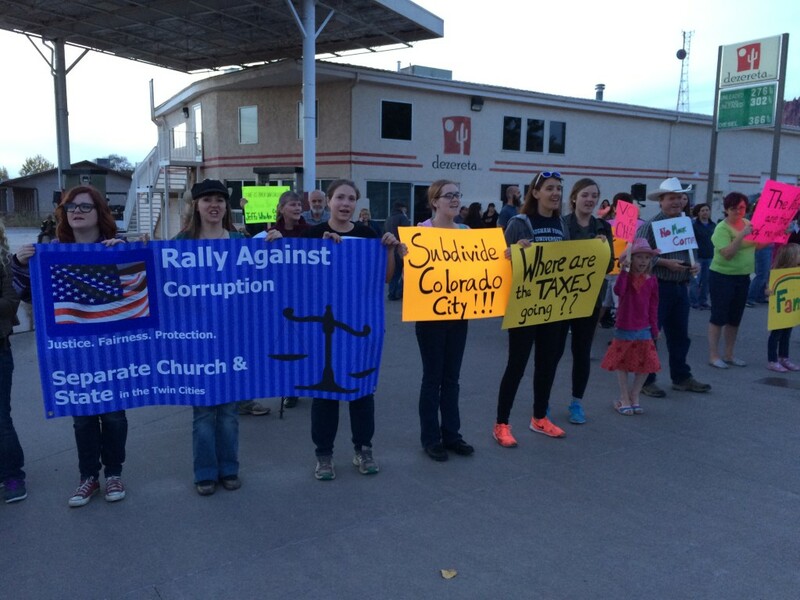 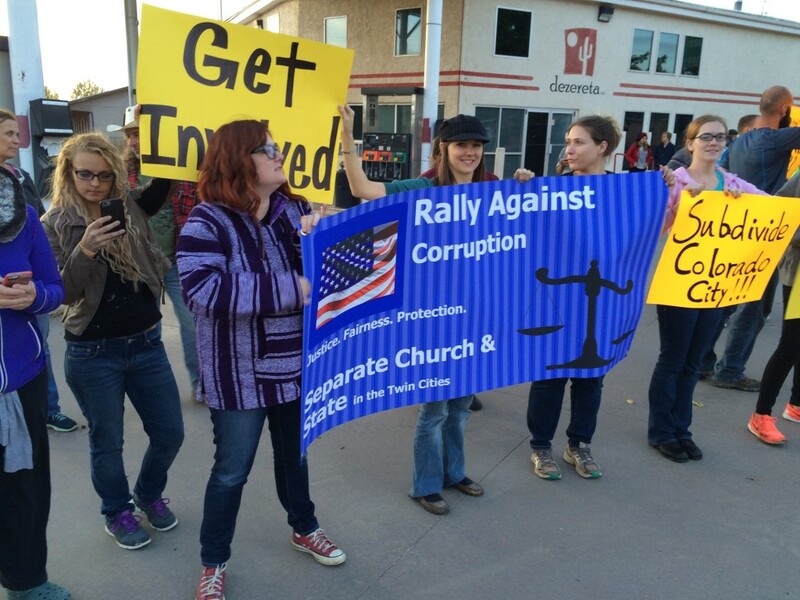 At one point during the demonstration, attendees sang a version of Bob Dylan’s “Blowin’ in the Wind,” rewritten with lyrics about Warren Jeffs and the alleged corruption in the community. 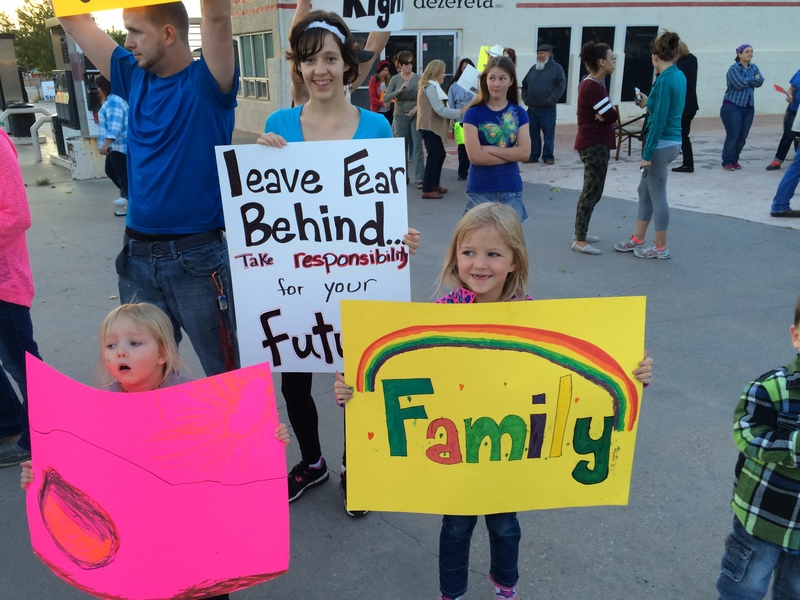 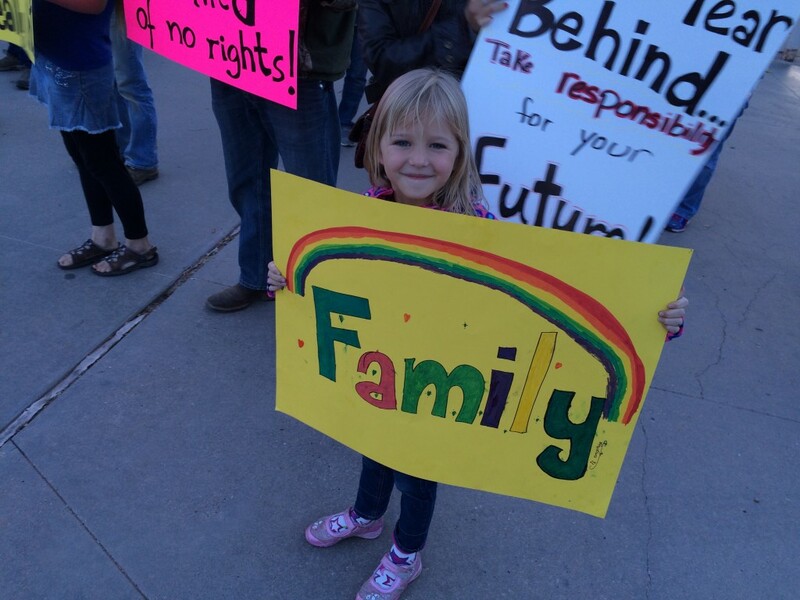 The rally was organized by Terrill Musser, who left the FLDS church about 12 years ago but recently moved back to Hildale with his family, having acquired his father’s former home through an agreement with the United Effort Plan Trust. 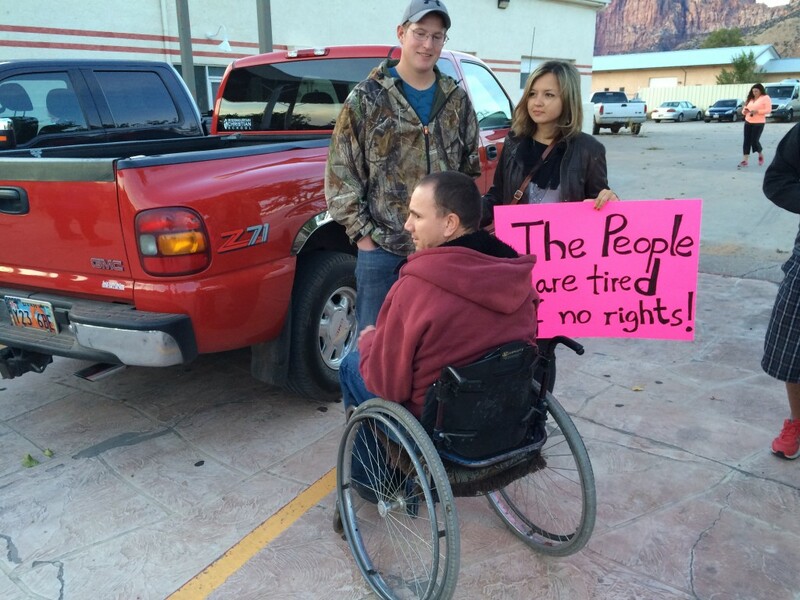 Musser has an illness called Milroy disease, which he said his sister died from and which keeps him frequently bedridden and also confined to a wheelchair. Because of his disease, organizing the rally was extremely taxing, Musser said, but he felt making change in the community had to begin somewhere. 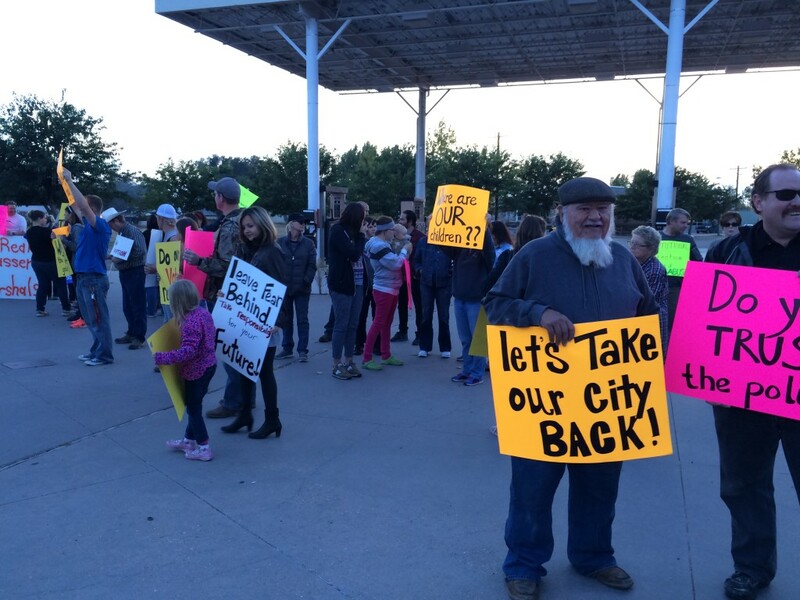 One message Musser shared with the crowd was that FLDS people claim victimization and are appealing to government officials, saying their land is being stolen and they’re being unfairly kicked out of their homes. 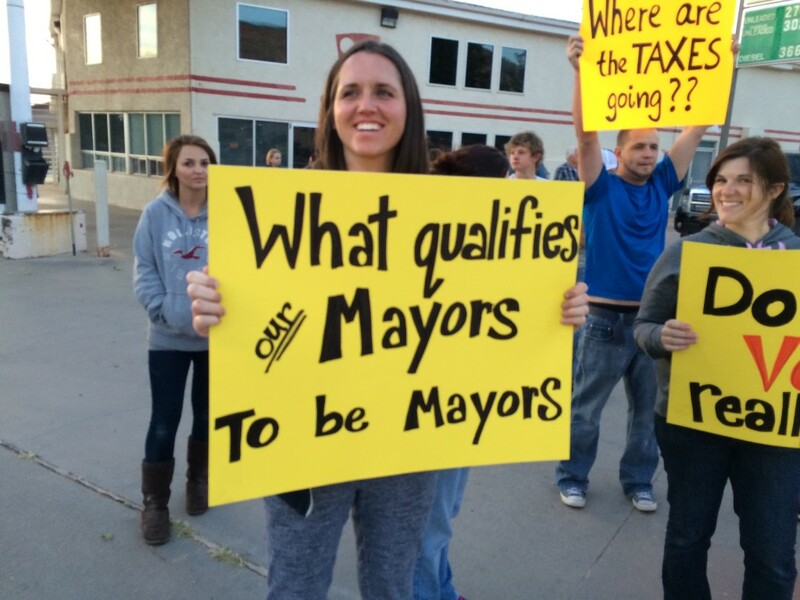 But anyone can keep their home if they pay their taxes and sign an agreement with the UEP Trust, Musser said. 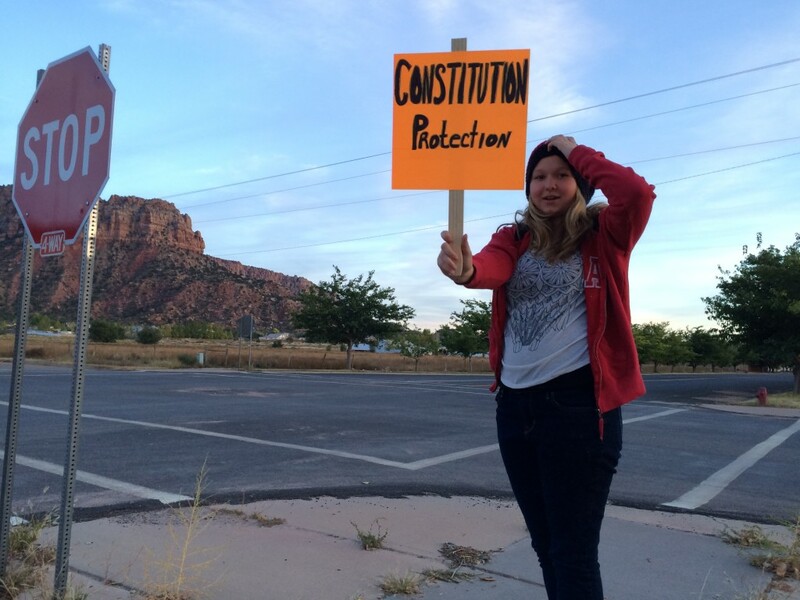 The FLDS people have rights, he said, and their fathers and forefathers built those properties. 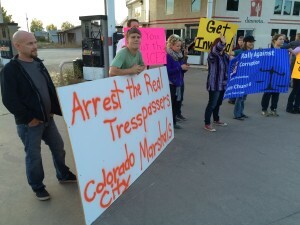 Others spoke to the crowd about persecution, false criminal charges and even physical violence at the hands of the local marshals. 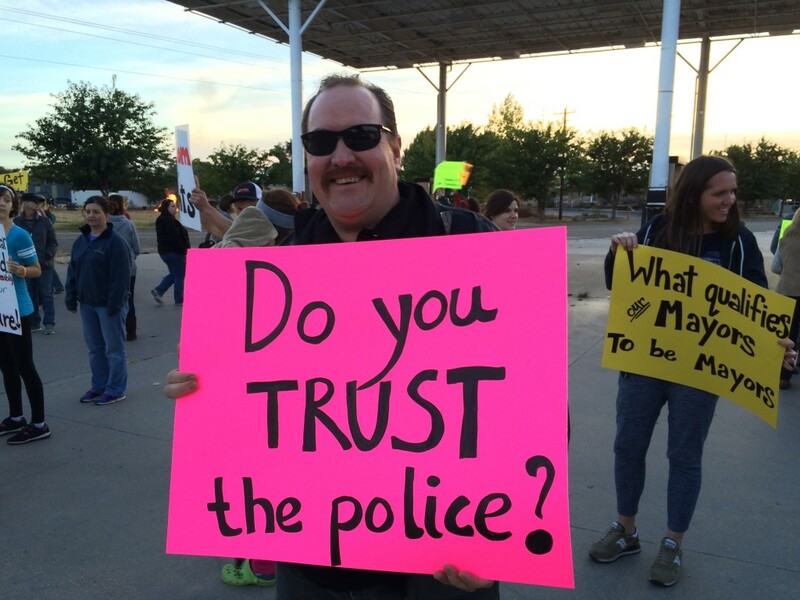 “I don’t respect people who hide behind a badge and do not uphold the law,” Dockstader said. 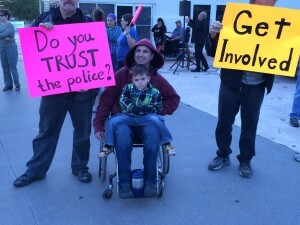 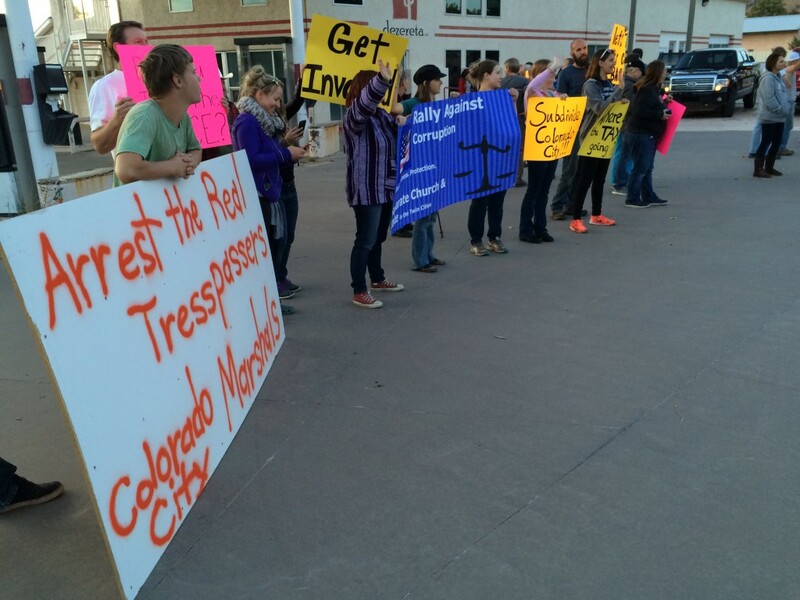 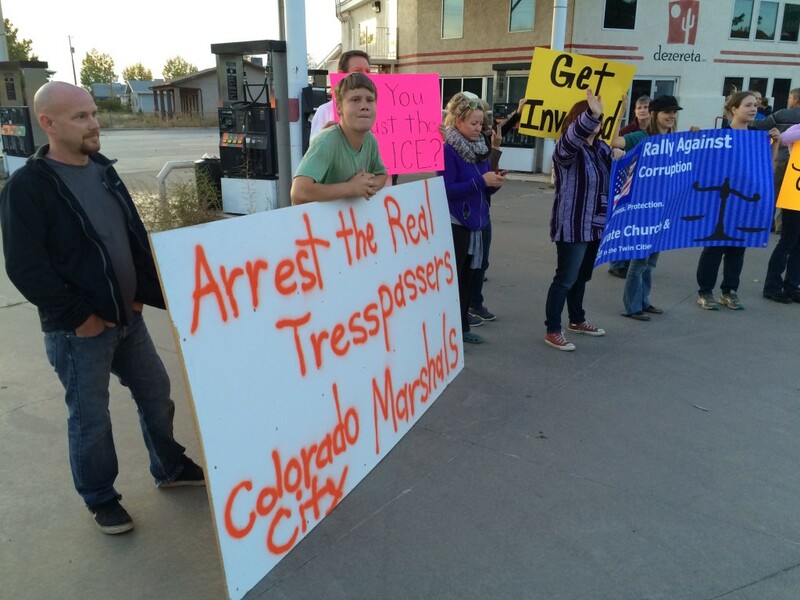 Other issues discussed by those addressing the crowd were matters like FLDS children being taken from their parents and even moved out of the country, the city government using tax dollars to fight the UEP Trust and blockade its efforts and the denial of basic constitutional rights for citizens in the community. 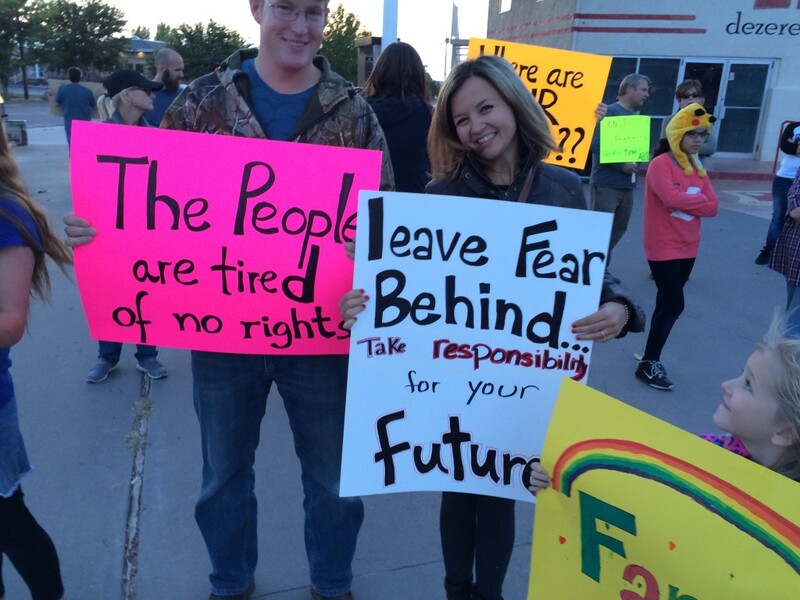 Lindsay Hansen Park, of the Fern Foundation, traveled from northern Utah to help with the rally. 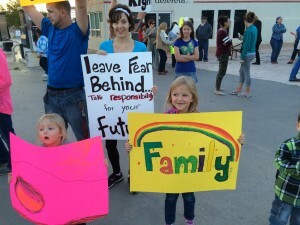 She is the founder of the website YearofPolygamy.com, which features podcasts exploring the history of Mormon polygamy. 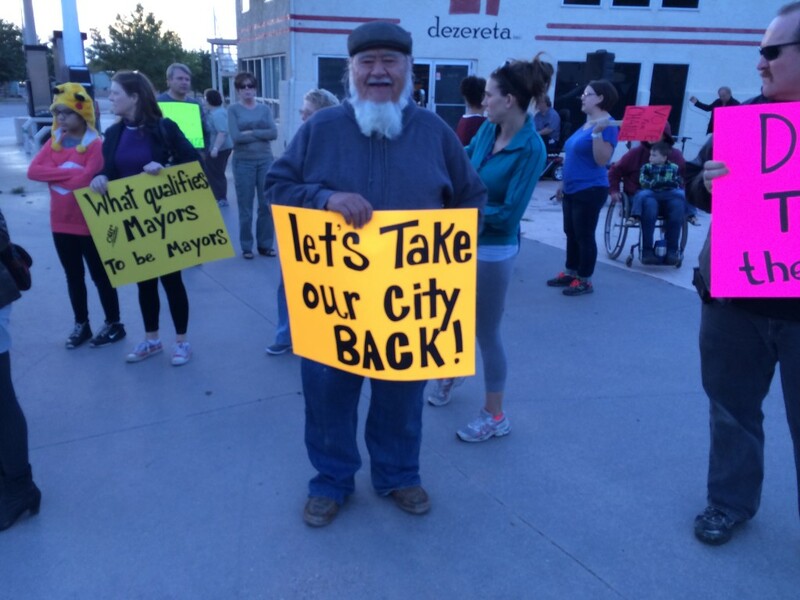 Musser said this inaugural rally is just the beginning of efforts to take back the community and turn Colorado City and Hildale into functioning American communities where equality exists and constitutional rights of citizens are upheld. 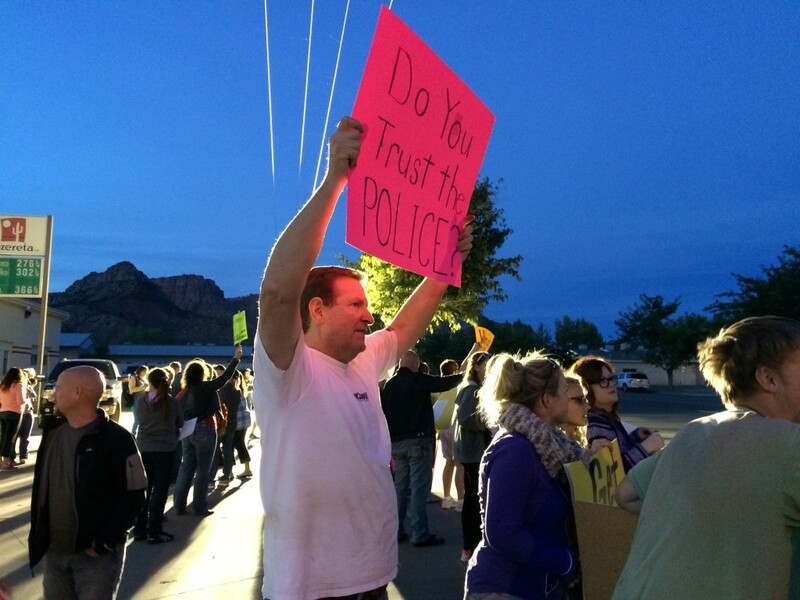 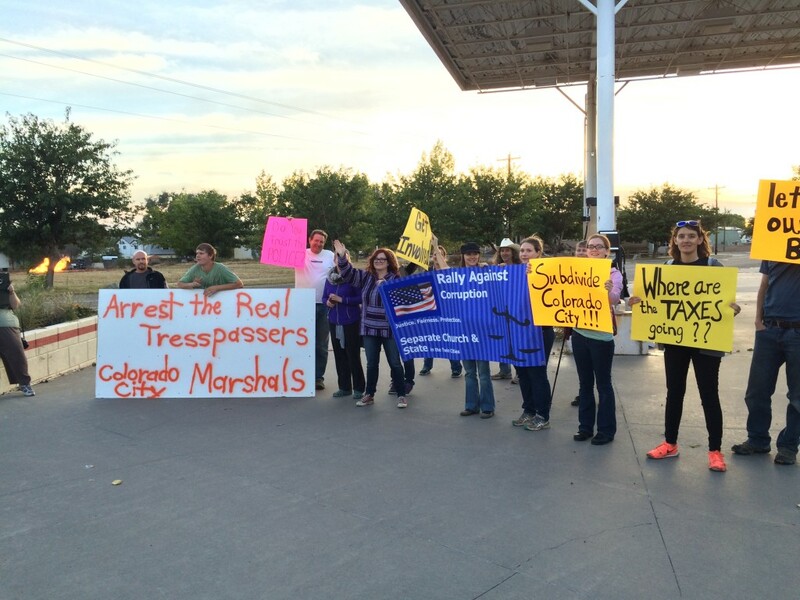 “We’re not going to just rally and then everybody go home and forget about it,” Musser said.